If you ever longed for an affordable classy vintage style wedding photography, then the 1965 Vespa bike is the right match to go with your motif. A wedding is a once in a lifetime event. Hence, you must make it very memorable and more importantly, very unique. 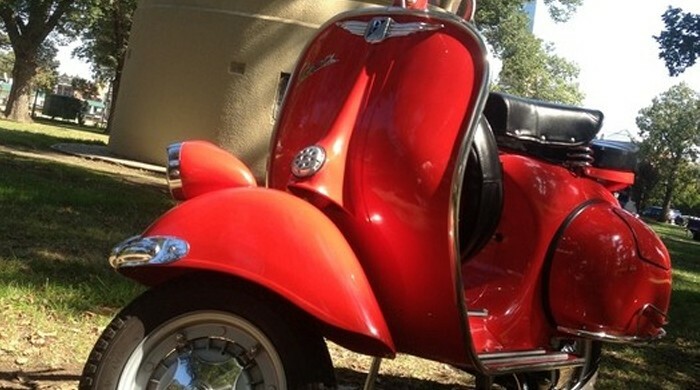 Incorporating a 1965 Vespa bike for hire is the best decision you’ll ever make. You will certainly have classy wedding photos by including a Vespa bike in your photography accessories. The vibrant colours of our Vespa bikes are a perfect way to compliment not only weddings but also any other occasions with a vibrant mix of style and a touch of class. 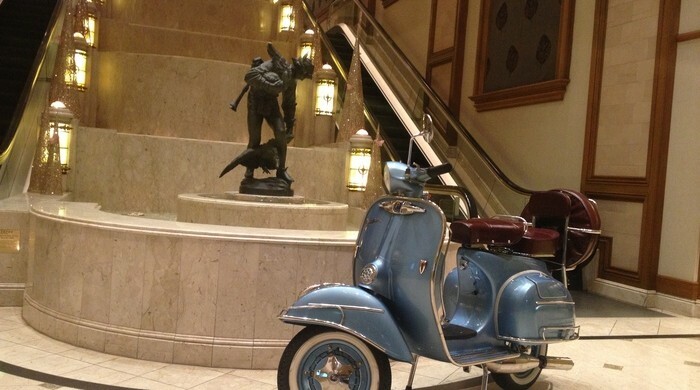 At Exclusive Limousines we offer choices of the best-looking 1958-1965 Model Vespa bikes. We are the first ever limo hire company in Melbourne to provide a stylish fleet of Vespa bikes. We guarantee an outstanding service by delivering your choice of bike to any photo shoot location around Melbourne. We understand how busy you are with other party preparations. That’s why we are more than willing to communicate and make arrangements with your wedding planner or photographer as per our hassle-free services. This way, you will be more than relaxed and appear absolutely beautiful in your wedding photos. Vespa is an iconic and respected name in motorbike brands. The 1965 Vespa bikes will compliment and add sophistication to your wedding photography or any occasions that call for a touch of classic style. We are the first luxury transport company in Melbourne to offer Vespa bikes at an affordable price and with 100% satisfaction-guaranteed service.